Two years after announcing a corporate partnership, Toyota and Suzuki have now outlined in detail what that partnership means. Though both automakers remain free to compete with each other, the collaboration deals with how they will handle disruptive trends and technologies. For Suzuki’s part, it means supplying its compact vehicle platform, specifically the Ciaz and Ertiga to Toyota. 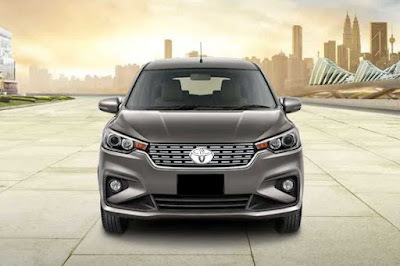 Though this is limited to the Indian market for now, it’s entirely feasible that this will span to other emerging markets where the Ciaz and Ertiga are sold such as ASEAN, and in turn, the Philippines. In fact, both Toyota and Suzuki will jointly develop a compact segment MPV, likely the third-generation Ertiga which may spell the end of the Avanza as a body-on-frame vehicle. The same collaboration has Suzuki supplying Toyota its Indian-made Baleno, Vitara, Ciaz, and Ertiga which Toyota will sell to the African continent, while Toyota will produce the Vitara at its Indian assembly site exclusively for the Indian market. For Suzuki, they will set to get Toyota’s Hybrid System globally which will help with the compact car specialist’s electrification goals. Suzuki will also gain access to the TNGA platform which they will then use to launch two electrified vehicles based off the RAV4 and Corolla for the European continent.